We are excited to announce that Romanov is taking part of the Bordeaux Stallion Show this weekend at the Jumping Bordeaux Show in France. Five stallions who competed at the 5* level will be promoted, and Romanov is one of them. Having Romanov back in France is very exciting for us as he has created a lot of his career highlights here, including the Jumping Bordeaux Show, where he took one of the biggest wins of his career back in 2015, winning the World Cup qualifier of Bordeaux. We are confident that the French audience will enjoy seeing Romanov back in France in such good shape. As this is the first Stallion show of the season in France, most of the French stallion managers will be present. Romanov will be represented by our agent in France, the Béligneux Le Haras, who will be present during the show to give all necessary breeding advice, make bookings and meet customers from all over the world at the stand. You will find their stand in the mid section of the Salon des étalons. Romanov, the living legend, propelled teenager Bertram Allen towards the top of the world rankings by winning 5* Grand Prix against the world’s best horses. His most memorable wins include the World Cup of Bordeaux, the Global Champions Tour Paris, the Nation’s Cup at La Baule, Saut Hermes Paris (2 years in a row) and the Aga Khan trophy in Dublin. In 2016, aged 18, Romanov secured the overall Global Champions League win for Valkenswaard United at the final in Doha before retiring at the top of his career in 2017. Romanov is possibly the greatest ever stallion son of Heartbreaker, the sire of Zidane, Cidane, Toulon, Zambesi and Actionbreaker to name a few. Romanov's mother Narzisse, contributes the blood of Darco, Ahorn Z and the addition of Ladykiller via Landgraf. She also bred three other 1m60 jumpers after Romanov, and her young line is beginning to populate with even more Grand Prix progeny. Romanov's French-influenced dam line explains why he was such a success at the top level of the sport. The cross of French blood with Heartbreaker is known for producing exceptional jumpers. This can be seen with the very similar pedigree to Romanov in Halifax van het Kluizebos. 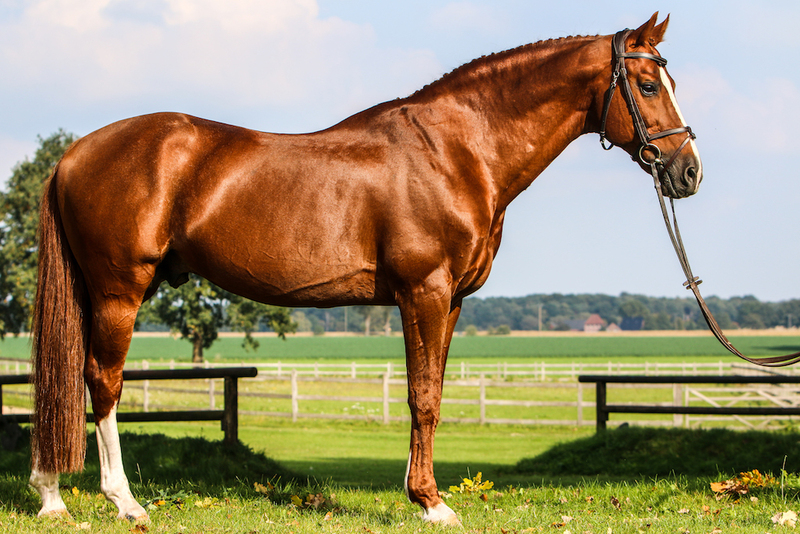 This mixture of raw jumping ability and blood creates the perfect stallion required for the modern sport; athletic, fast, ultra-Careful and brave. Romanov retired fit and healthy in 2017 and was made available for commercial breeding for the first time.